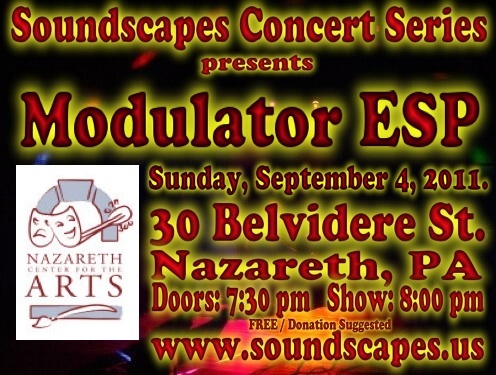 Here is the archive of Soundscapes Concert #13 featuring Modulator ESP. It took place at the Nazareth Center for the Arts on Sunday, Spetember 4, 2011. Jez played two sets, improvising solo for the first set and inviting the concert series host to join him for the second. Modulator Experimental Synthesis Project, a.k.a. 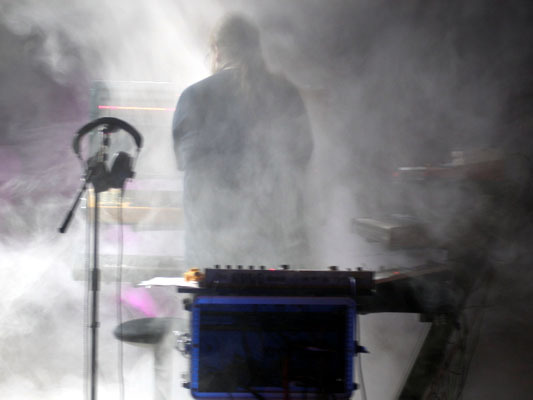 Modulator ESP, performs improvised music that explores the boundaries of dark ambient, drone, Berlin School sequencing, and noise using modular synthesis, real-time sampling, sound manipulation, and live looping. Modulator ESP at SCS #13. Photos are on the Soundscapes Facebook Fan Page.